Ruby Elite in Medavakkam, Chennai South by Ruby Builders is a residential project. The size of the Apartment ranges in between 1040.0 sq.ft. and 2231.0 sq.ft. Ruby Elite price ranges from 70.00 Lacs to 1.56 Cr. Ruby Elite offers facilities such as Gymnasium and Lift. 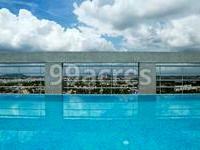 It also has amenities like Jogging track and Swimming pool. It also offers services like Grocery shop. Bank loan approved from State Bank of India. It is a ready to move project with possession offered in Jan, 2016. The project is spread over a total area of 1.5 acres of land. It has 73% of open space. Ruby Elite has a total of 2 towers. The construction is of 15 floors. An accommodation of 206 units has been provided. What is the project location?The project is located at Medavakkam, Chennai South. What are sizes of apartments in Ruby Elite? The apartment sizes in the project range from 1040.0 sqft to 2231.0 sqft. What is the 2 bedroom size in Ruby Elite? 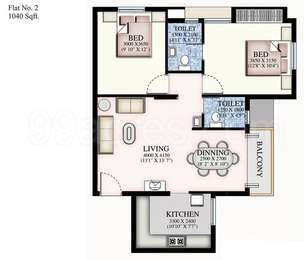 2 BHK units in the project are available in a size of 1040.0 sqft to 1075.0 sqft. 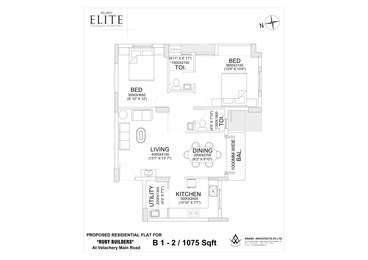 What is size of 3 bhk in Ruby Elite? 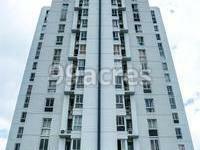 The area of 3 BHK apartments ranges from 1330.0 sqft to 2231.0 sqft. What is the total area of Ruby Elite?The project spans across 1.5 Acres. How much is price of 3bhk in Ruby Elite? The price of 3 BHK units in the project ranges from Rs. 7000000 to Rs. 15678689. Ruby Builders, a reliable name in real estate development was established in the year 1997. The company has built a mutual and highly reliable bond with their clients and customers on the basis of their architecturally advanced projects. Their qualitative approach has earned them the ISO 9001:2008 standards. oharan, who has won several awards likes of Best Flat Promoter Award in the year 2008-09 and Best Business Entrepreneur award in the year 2009, and Seva Ratna award, presented for exceptional corporate social responsibility. With such guidance, it comes no surprise that the company has chartered such great heights in residential and commercial constructions. I am looking to book a 3BHK with them. I just checked the availability from their marketing team. I see that they have revised the rate to Rs.5,100/sq.ft and only 104 of 206 flats have been booked / registered. Am I missing something...? Can the experts throw some light please. whats the maintainance cost at this place? Can you inform me about the connectivity to this area? I am surprised with your remarks regarding Magnesium content. Could you pls share more info if u have. Maybe I could speak to builder based on that.